Whataburger is a US fastfood chain company that operates in the Southeastern and Southwestern regions of the United States. Its headquarters is located in San Antonio, Texas. They company’s signature product is their array of hamburgers. Their first location was opened on August 1950 in Corpus Christi,Texas. Harmon Dobson and Paul Burton, the company’s co-founders, wanted to sell burgers that tasted so good that customers will say “What a burger!”, hence, the first store was named Whataburger. The company has over 800 locations in the Southeastern and Southwestern regions of the US, as of 2016. In 2016 a bracket style poll was conducted by Fast Company, a tech and lifestyle company, the fastfood chain was named as the best burger chain in the country for the second year in a row. People who work for the fastfood chain get to enjoy a variety of benefits, such as a 50% discount on food while working and discounts when they eat there off shift, including the entire family’s food. They also offer a health insurance plan and a 401K plan. Employees who work for the company commend the good salary they get for the work they put in. They also liked the discounts and the fun workplace environment. Applicants should be at least 18 years old. They also accept minors for entry-level jobs at the restaurants, provided that they are at least 16 years old. The company offers careers for people with various types of skills and expertise. Porter: Porters ensure that the establishment is perfectly clean. They sweep floors, pick up trash, clean windows, and clean the bathrooms among many others. Sometimes, they can do errands for other employees and restock items such as tissue paper and soap. Restaurant Team Leader: Restaurant team leaders lead the staff in the day-to day operations of the establishment. They make sure that everyone is in high spirits and doing what they need to do. Also, they provide customer service by being polite to the customers and speaking to them should they have any concerns. Assistant Manager: Assistant managers run the restaurant while the manager is not around. They make sure that the staff is following the company’s policies and guidelines and train employees to make sure the restaurant is performing efficiently. It is also their job to provide good customer service. Server: Servers are responsible for delivering the customers’ food once they are out of the kitchen. It is also their job to ask if customers need anything and gives suggestions when it is asked of them. Servers need to be polite and have the stamina to work while standing and walking around all shift. Cashier: Cashiers take payment and provide change for customers. They work at the cash register, so they need to be quick to prevent long queues. It is also their job to provide good customer service by being kind when entertaining customers and answering questions to the best of their knowledge. Cook: Cooks work inside the kitchen to prepare the customers’ orders. They need to learn the recipes and cook repetitive dishes that are consistent in terms of taste. It also falls on the cooks to follow rules and guidelines in food preparation and sanitation. Shift Leader: Shift leaders lead other employees during a certain shift and make sure that everyone is working. They act as quality control for the whole team to ensure customer satisfaction. Also, they need to work hard to inspire the others to do the same. Drive-thru Team Member: Drive-thru team members have the responsibility of taking orders from customers who prefer to buy at the drive-thru. They also get the food that was ordered and bag them before finally giving them to the customer. They need to move fast because drive-thru customers are commonly in a rush. Manager: Managers have the responsibility of managing everything in the restaurant. They check stocks, see if food preparation standards are met, check if serving sizes are good. They have the power to give orders to all the employees if they see that it is necessary. Burger Flipper: Burger flippers, as the name suggests, flip burgers. They work at the grill to cook burgers and make sure that every burger tastes the same, for consistency. Is is also necessary for them to have a good sense of time so the patties are cooked to perfection, not overcooked yet not undercooked. In-store applications are accepted for people who wish to work at one of the company’s establishments, they just need to submit a fully filled up application form and wait for the store’s management to get in touch with them. There is also the option of online applications. Applicants need only to go to the careers section of the company’s official website to find a job that suits their abilities. Application forms should be fully filled up and submitted neatly. Applicants need to make sure that whatever information they put on is true. They also need to make sure to read the form thoroughly to avoid any errors. For the resume, managers will appreciate it if the applicants make it short and clear because managers are commonly busy people and reading an applicant’s resume is not the greatest of their concerns. In the interview process, applicants are encouraged to dress in corporate attire and act as professionals. Also, they must be prepared to answer the questions to impress the interviewer. The company’s culture is centered around looking out for those who work for them. Employees commend how every employee communicates for the team to work efficiently and how the company rewards hardworking people with high compensation and a bunch of benefits. In 2017, online news reports claimed that all the company’s restaurants will be closing down by February 2018 because it can’t keep up with the competition. These reports has since been ruled out as fake news and the company is perfectly fine. The company is best known for serving their different burger variants. 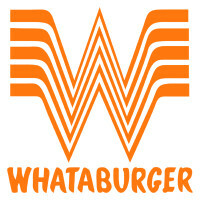 It has been an American favorite since the 1950s, thus proving the quality of the Whataburger. A testament to that is how they have won the poll for the best American burger that was conducted by the Fast Company for several times. The company also has their Whataburger Foundation Company that was made solely for the purpose of helping the community. In 2017, the fastfood chain donated nearly 2M dollars for the victims of Hurricane Harvey. 1 How old do you have to be to work at Whataburger?